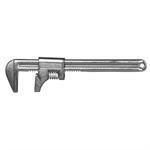 Wrenches | Product categories | Waltco Tools & Equipment, Inc.
Crescent 11-Inch Adjustable Automotive/Pipe Wrench. 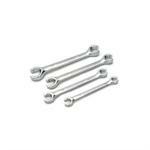 General purpose adjustable wrench with sliding jaws. 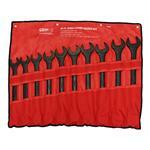 Great for tightening or loosening nuts, bolts and fasteners. Jaws open to 2-3/4-Inch wide. Compact stubby size for the most confined areas. 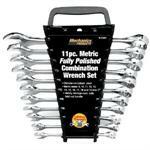 Contains: 10mm, 11mm, 12mm, 13mm, 14mm, 15mm & 18mm wrenches. Reusable storage rack. 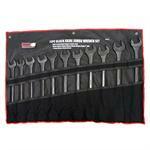 with other high-quality wrenches, the improvement in strength is as high as 80%. 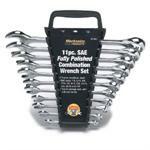 jaws, increase tool strength and reduce permanent jaw spread for better reliability. 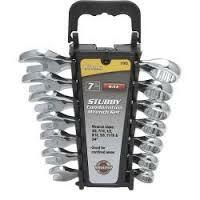 on the fastener to increase torque and reduce slippage.